We are designed and built Doctoring Inspection Machine with Slitting System, doctoring inspection machine with Inspection mounting facility, slitting Arrangement, single wall cantilevered construction. All Label Manufacturers require Slitting of Jumbo Rolls to individual Label Rolls. Big Label Converters require Slitting of Jumbo Rolls into smaller Rolls after printing in Flexo Printing Machine. Generally in use of Inspection and Slitting of all types of material like Plastic, Paper, Flexible Packaging, PVC, Aluminum Foil, Stretch Film, LDPE Film, BOPP Film, BOPP Tape and many more. 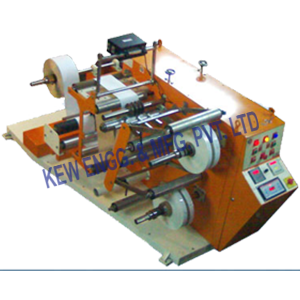 Inspection facility of perfect slitting of rolls with consistent quality and constant line speed. Inspection with high quality and accurate slitting system, also slitter rewinder machine for all type of fmcg, paper and fabric materials.